As we’re a good proportion through our plastic-free month of July, I thought I’d pause to take stock of how I was doing… Not so well! It is clear that plastic is everywhere, and increasingly so, making it difficult to get away from it. The most problematic area I’ve found is food shopping, as plastic packaging is so commonly used, but I continue to be on the look-out for alternatives. Sometimes, plastics seem to be the ideal material, from the keyboard I’m typing this on to items which always used to be metal: dashboard and some external panels on my car, central heating pipes… Let’s face it, plastic is a really good material for many things. 1) A plastic bottle needs a couple hundred years before it typically starts decomposing. Some degradable plastics are on the market, but these remain a little more expensive to use, so the majority aren’t of this material. 2) Once the decomposition process has begun, it then takes up to 100 years to decompose completely, an average total time of around 450 years since being produced, but very much longer for some types. 4) In the last decade, we have produced more single-use plastic that during the entirety of the last century. 5) Around 50% of plastic we use is thrown away shortly after, and therefore not put to good use. 6) Approximately 500 billion plastic bags are used worldwide – that’s more than a million every minute. No wonder the subject made it into the Queen’s speech this year! 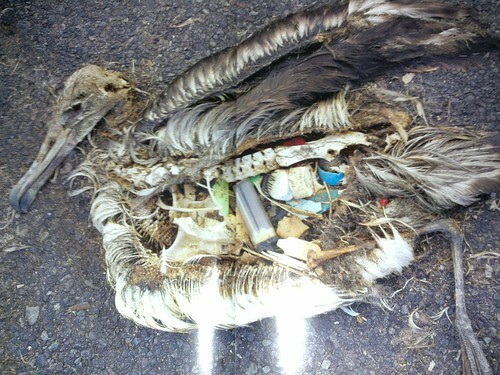 7) Plastic constitutes approximately 90% of all rubbish floating on the ocean, and accounts for around 1 million seabirds and 100,000 marine mammals being killed each year. It is estimated that 44% of all seabird species, 22% of cetaceans, 100% of turtle species and an increasing list of fish species have been documented with plastic in their bodies. 8) Using recycled materials to make a new plastic bottle take 75% less energy as compared with using ‘virgin’ materials. 9) Recycled plastics can be used to manufacture a wide range of products, including park benches, picnic tables, and even fleece jackets (using just 25 recycled drinks bottles per jacket). My loft insulation has been topped up with ‘recycled plastic’ insulation! So, if you haven’t yet made the pledge to reduce your plastic consumption, there’s still time to do so, and with other local residents taking on the challenge this month, there’s no better time. Plus, more tips and advice will be going up on the Sustainable Witney blog as July continues. I thought this video would enthuse. Until I got to the end where it says 10% of an M&S milk carton is made from recycled plastic. Is that all? 90% is virgin plastic? Hardly inspiring. Then I wondered what would it be if every plastic milk bottle entered the recycling system? Anyone know the answer?